* Round-trip transportation from the Boarding Lounge at Pets on Broadway in central Denver to the Paradise 4 Paws resort at Denver International Airport. * Two nights in a spacious dog suite with premium bedding and nightly tuck-in service. * Extra cuddle time with one of the team members so you don’t feel guilty cuddled up by the fire without your pooch. * Frosty Paws dog treat. The package, a $200 value, is available for $140 for two nights in an Executive Dog suite. Additional suite types and stay lengths are available starting at $112. Special package pricing expires March 26. Paradise 4 Paws features expansive pet suites, complete with premium bedding, nightly tuck-in service, playtime and access to public-area webcams. Many suites also include flat screen televisions with canine-friendly programming and personal, 24-hour in-suite private webcams. 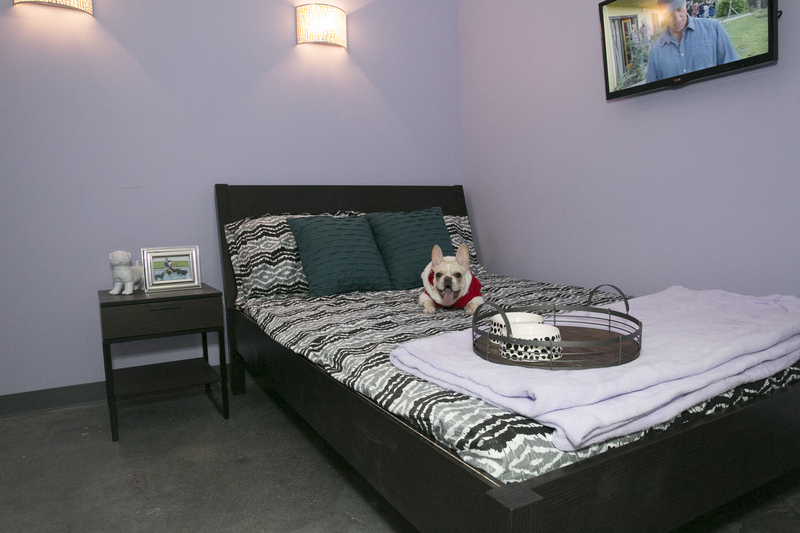 Top Dog Suites includes a full-size human bed for Fido, as well as a photo frame to house a photo of pet parents and help quell separation anxiety; a Slumber Party Suite allows dogs to stay and play with other dogs of similar size and temperament. Two expansive indoor play areas feature indoor grass, soft rubber flooring and bone-shaped splashing pools. Cats enjoy a separate gated community of bungalows with cat trees, overlooking the Adventure Jungle, where felines can spend hours enjoying a large aquarium filled with colorful fish. Massage, grooming, fitness and veterinary services are also available. For more information, go to www.paradise4pawsdenver.com.